Applications are invited for latest Tri-Pack Films Limited Summer Internship 2019. 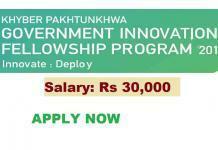 The summer internship program is available in Karachi Pakistan for 6-weeks with a weekly stipend. The program is for students who are doing undergraduates or postgraduates. Management Trainee position after completion of the successful internship. If you want to become future leaders then this latest summer internship in Pakistan 2019 is for you. Tri-Pack Films are looking for those who can join them to work on exciting projects and gain hands-on experience working in your relevant field. An Intern will be collaborating closely with the respective Managers on substantial projects. An internship with us can show you the ins-and-outs of our industry and all assignments will add value both to our company and to your development as a professional. In Order to apply summer internship 2019 fill the applications form by click the apply now button given below. The last date to apply for Tri-Pack Films Limited Summer Internship 2019 is 26th April 2019.